Dried beans come in a variety of sizes, colors and the flavors are countless. Sometimes I just don't have time to rehydrate them though. I buy the packages and when I want to use them I have not given myself enough time to prepare the red bean, black bean or pinto bean. White lima beans, kidney beans and navy bean sit at the bottom of my pantry anxiously awaiting the day that I remember to soak them overnight or boil them in hot water for a few hours. Like many, if I need some beans right now, I run to the store and buy them in a can. 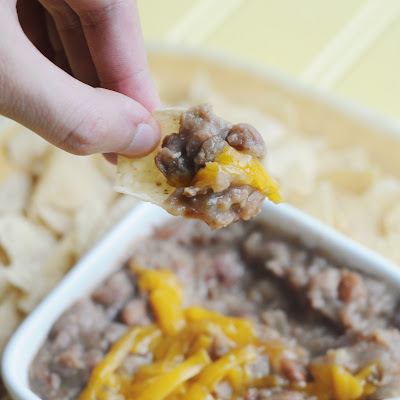 We love refried beans and I will often serve them as a side dish when we have enchilada's, on our nacho's or in the bottom of a corn tortilla before we add the cheese, lettuce and ripe tomatoes. 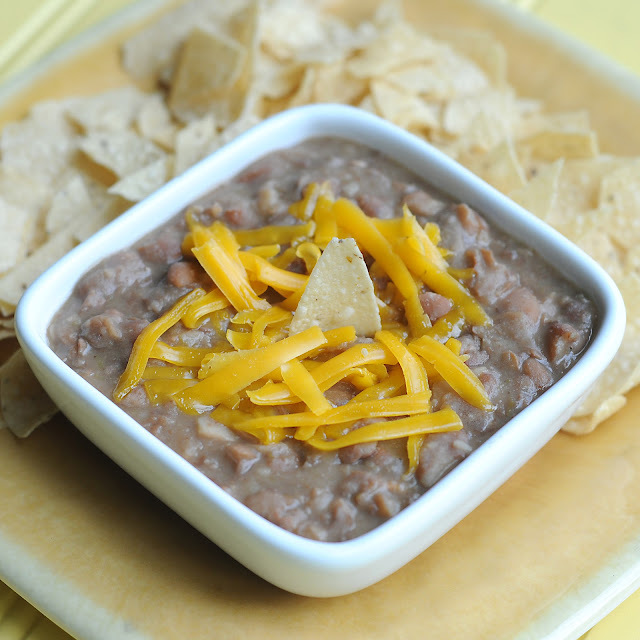 Refried Beans is a simple dish. I also learned it is an easy dish. 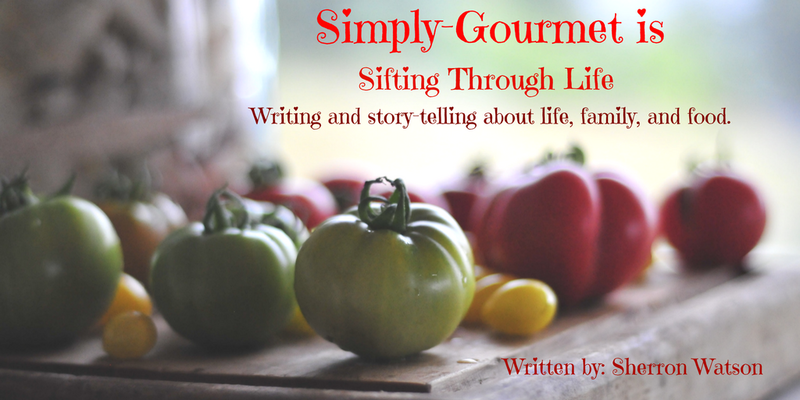 I found inspiration to try this recipe when I woke up one morning and my beans fell out onto the kitchen floor. I felt that they had flung themselves at me. THUD, landing at my feet. My crockpot was sitting on the counter, and together, the beans and the crockpot, were telling me I needed to give my crazy thought a try. In the end, I was so excited that I did because this dish came together nicely. I made it in the early morning and it was done by dinner time. When you make your own refried beans you have so much control in how the flavors will be paired and the end result. I will be making these from scratch for now on because I learned several things. Yep, they were simply good. Good taste, texture and flavor. Add all of the above ingredients to a crockpot. Set temperature to high and cook for 4-5 hours. If you choose to cook it on low the time will be much longer, 8-10 hours. I checked the beans after 3 hours to make sure they were doing okay and every hour after that. You will have to remove some water when the beans return to their desired doneness. I removed almost one full cup. I used a potato masher to mash the refried beans together. They will get thicker as they sit for a few minutes or even the next day. I liked having a variety of beans in the dish that ranged from whole to mash. Excellent! 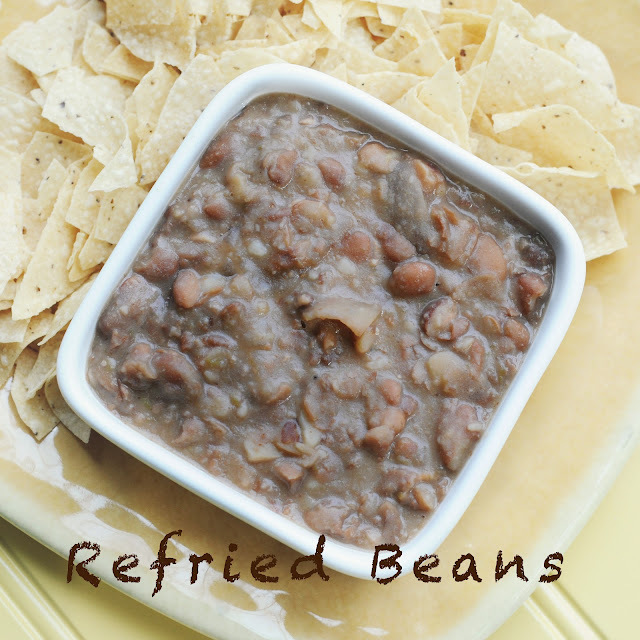 I make my beans from REAL beans (dried beans) but have never turned them into refried beans. You should get a pressure cooker -- takes me less than two hours to make beans. PERFECT. can you freeze these after they are cooked? Yes, beans freeze very well. Hello! Quick question for you! :-) did you soak the beans first or just added then straight to the crock? This is a great, easy way to prepare beans, but to get technical, if they aren't fried, they aren't actually "refried", they're cooked seasoned beans. To turn them into refried beans or refritos in Spanish, take the cooked beans and some of the liquid and sauté in a heavy fry pan in oil [to be authentic, use lard, but many people substitute vegetable oil as it's healthier], mashing as you go, and to desired thickness, adding extra bean liquid as needed.